The information for the events related to the murder of the Cumberland County Deputy is a summary from newspapers and the few court records that could be located during the time period of these events. The Cumberland County Court Clerk does not have the trial court records and testimony. Records from the time period were turned over to the North Carolina Archives. Research at the archives revealed the court docket and other records, but not the trial records or testimony. The Cumberland County Sheriff's Office related they have no photographs or information regarding Deputy Pate. The information and photograph on the Officer Down Memorial page was provided by this author from the research below. David Marshall Williams was born in North Carolina November 13, 1900, the son of James Claude Williams and by second marriage, to Laura Susan Kornegay (Raleigh County, NC Death Certificate). David was the eldest of six children born to James and Laura. James had seven children by his first marriage to Eula Breece, six of which were still living when David was born (U.S. Census for Black River Twp., Cumberland Co., NC 1880, 1900, 1910, and 1920 & Fayetteville Observer-Times April 20-23, 1997). James Claude Williams owned a large area of land near Godwin, NC on which were a number of homes family members and others resided in. During the time period and in the area the Williams family lived, people were commonly referred to by their middle name instead of their given name. David was often referred to as Marsh and/or Marshall and his father as Claud. David Williams attended school in Godwin, completing the 7th grade. During the 8th grade he was expelled by Godwin School Principal H.B. Gaston (Fayetteville Observer, October 12, 1921). By the 8th grade he had constructed several home made handguns, an interest not uncommon even with some youth of today. After dropping out of school Williams went to work for a local blacksmith where he learned the basic skills of working with various metals. 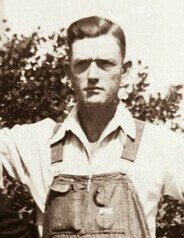 Williams had no interest in farming or working on the farms of his father. Three months prior to his 16th birthday Williams left the blacksmith shop and enlisted in the U.S. Navy. His military records indicate he enlisted as an Apprentice Seaman on 29 Aug 1916 at the Naval Recruiting Station in Norfolk, VA. The enlistment record initially indicated his birthdate as 22 Aug 1898 and described him as 5' 6 7/8", 123 lb, blue eyes, auburn hair and having a ruddy complexion. On 29 Aug 1916 the Navy Recruiting Station sent a postcard to J.C. Williams advising him his son had joined the Navy and had been sent to the Naval Training Station in Portsmouth, VA for approximately 6 months of training. On 09 Oct 1916 the commander of the Naval Training station dispatched a letter to J. Claude Williams requesting a copy of David Williams birth certificate so their records could be corrected with his true date of birth. The wording infers J. Claude Williams had contacted them and advised them of his son's true age. Communication between J. Claude Williams and the Navy resulted in a 09 Nov 1916 order by the Secretary of the Navy directing the correction of their records to reflect the correct birthdate along with the discharge of Williams due to his underage enlistment. Williams was discharged from Norfolk on 20 Nov 1916. After returning home to North Carolina Williams obtained the assistance of his father to enroll in the Blackstone Military Academy in Blackstone, Virginia in 1917. During the first semester Col. E.S. Ligon, owner of the academy, expelled Williams for theft of government property. A search of Williams' trunk had recovered several rifles and 10,000 rounds of ammunition Williams had stolen from the school. It was also discovered Williams had removed the rifle stocks and shipped them home. Williams refused to return them [Fayetteville Observer, October 12, 1921]. On August 11, 1918 Williams married Margaret Isabel Cooke in Godwin, NC. After his marriage Williams obtained employment doing manual labor for the Atlantic Coast Line Railroad. Several weeks later while working with a railway team he pulled a handgun and shot at a bird flying by, missing the bird but succeeding in having his employment terminated (Fayetteville Observer, October 12, 1921). Prohibition took effect in the United States on January 16, 1920. Now at the age of 18 or 19 Williams became involved in building and operating stills in the vicinity of Godwin, at least initially with the assistance of his previous employer at the blacksmith shop who helped build the copper pots for the stills. Eventually Williams hired local black males to man the stills, including the still raided on July 22, 1921 with the resulting murder of Deputy Alfred Jackson Pate [Fayetteville Observer, July 23, 1921]. Alfred Jackson Pate, son of Joseph Judson Pate and Ellen McIlwinen, was born in North Carolina September 16, 1858. He was the youngest of seven children. He married Minnie "Hattie" Ervin Goldston in Cumberland County August 18, 1878. Alfred worked as a farmer until he joined the Cumberland County Sheriff's Department about 1901. Alfred and Hattie lived with their five children in the home Hattie grew up in, now a Fayetteville historic home known as "Sweet Tarborough". In 1865 Hattie, her siblings, and her mother had to live upstairs when union forces seized the home and General Sherman made it his headquarters. When Sherman left it was one of the few homes left standing in Fayetteville [Hometown Heritage, Volume I, pages 76-79]. The home was located at 1437 Raeford Road and into the 1970's was occupied by Alfred and Hattie's daughter, Ellen, with her husband George Stevens. Pate's occupation as an officer at the court house is indicated in the 1920 census. The Fayetteville Observer-Times, recounting the events of Williams and Pate in a four part series April 20-23, 1997, stated "Pate had two jobs in the Sheriff's Department. He was McGeachy's chief jailer and sometimes was the lead investigator in working major crimes. In February 1921 Pate asked McGeachy to take him out of the jail and put him to work as a full time deputy. He was replaced by Deputy Bill West." Deputy William Garrison Moore (depicted above) and his partner Deputy Herman C. Butler died from gunshot wounds received May 21, 1921 during a gun battle with a man randomly shooting at citizens. Unfortunately the Sheriff's Office and county archives have no photographs or history on the six of their deputies who were shot and killed between 1916 and 1923 (two enforcing Prohibition laws). Of the deputies depicted in the photograph, three may have been killed in the line of duty with a fourth wounded. If you can identify any of these individuals please contact me. The events that follow were a major event in Cumberland County during the time period they occurred. Deputy Pate was well known and well liked by many people. James Claude Williams, father of David Marshall Williams, had previously served on the Cumberland County Board of Commissioners and at the time of the murder was serving on the Cumberland County Board of Agriculture. He was active in the Democratic Party and well known in Cumberland County. [Fayetteville Observer, April 21, 1997]. The attention given these events by the media and the public created an ongoing report of the history of the events by a reporter from the Fayetteville Observer who was specifically assigned to monitor the court proceedings and events. An eye witness account of the court proceedings through the eyes and mind of a newspaper reporter who submitted their report to an editor before publication is not the same as the actual testimony and evidence in the order in which it was presented. The resulting articles do provide sufficient detail as to what happened for the reader to grasp the overall picture. Any conflicts that appear in the newspaper accounts that do not include a strong response to the conflict by the attorneys were likely errors made by the reporter or editor as opposed to the attorneys. On Friday, July 22, 1921 at about 6:30 p.m. Cumberland County Sheriff N.H. McGeachy accompanied by Cumberland County deputy sheriff's George West, Bill West, Charles Randall, Charles Driver, and Alfred Jackson Pate went to an area about a half mile east of Godwin's railroad station to seize an operational still. This area was and is largely wooded with marshes and a few scattered farms. Sheriff McGeachy and 4 of the deputies (including Pate) left their vehicle and proceeded into the area on foot. As they approached the still they were spotted and Sheriff McGeachy gave the order to rush it. Three people were observed fleeing the still but were unable to be identified. The officers seized the still's large copper pot, 30 gallons of whiskey, various material needed to run the operation and two military surplus Krag bolt action rifles. The rest of the material being destroyed on the scene. The evidence was loaded into the sheriff's vehicle. Due to it's large size, the copper pot was loaded in the back seat. The right rear door of the vehicle couldn't be closed due of the size of the pot. Deputy Pate mounted the right rear sideboard, holding onto the pot as Deputy George West drove. Because of the fading light and marshy ground Sheriff McGeachy and the remaining deputies walked, helping direct the driver to keep the car from becoming stranded in the mud. What happened next is taken from the Coroner's Inquest testimony of Sheriff McGeachy on August 1, 1921. The testimony was recorded in writing by the court stenographer. "I was walking in front of car with Bill West and Charles Driver. When we were about 100 yards from woods, going out to road leading to Falcon, heard report of rifle. I immediately looked back. I was about 20 feet in front of car, and in about one minutes time heard another report, and George West jumped out of car and Mr. Pate sat still in car. He was killed with the first shot. There were some five or six shots fired. I ran back to the car. I could tell direction from which shots came. He was about 40 or 50 yards above where we loaded the still. I picked up rifle. He stopped shooting about that time." Sheriff McGeachy was unable to identify the shooter. However as the preliminary hearing continued, on August 2, 1921 Deputy Driver testified he had seen the shooter but did not recognize him as he had not met Williams prior. Under oath he identified David Marshall Williams, seated in the courtroom, as the man he had seen firing the shots. Five men were identified as workers at the still and charged with Williams for making liquor. All five testified at the preliminary hearing. Four of the five testified they had run in one direction and that Williams had gone in a different direction, carrying his rifle. They indicated that on a prior date Williams had given them the two surplus Krags with orders to shoot any officer who came in. They had left the rifles behind when they fled as the deputies approached. When they heard the shots being fired, all four indicated the shots had come from the direction they had seen Williams run. The fifth worker at the still was Randall "Ham" Dawson. Dawson is a key individual in this story as this is who Williams believed had informed Sheriff McGeachy of the still, who Williams blamed the shooting on, and who the Williams family believed killed Deputy Pate. Dawson is who Williams and his family members later referred to as the black worker at the still who had done the shooting. During the Coroner's Inquest on August 1st, 1921 Dawson testified he had seen Williams the morning after the shooting when Williams provided him with a breach loaded rifle he had asked for prior. Dawson said Williams had been armed with his own rifle and during the conversation the topic of the raid and death of a deputy came up with Williams telling Dawson he'd done some shooting but wasn't anywhere near. At the end of the inquest the jury recommended both Williams and Dawson be "held without bail for further investigation by the courts". Cumberland County prosector's charged Williams alone with the murder of Deputy Pate. Dawson was not a co-defendant. Contrary to the claims of Williams and his family, Dawson was indicted, prosecuted and acquitted of the shooting. On the day Williams was sentenced. This will be covered in further detail below. Dawson testified during the preliminary hearing of Williams, but only after a lengthy defense argument to keep him from testifying by Williams' attorney and Dawson's attorney, followed by an admonishment by the judge that whatever he said could be used against him in any future proceedings. The Fayetteville Observer news reporter covering the hearing indicated Dawson was an unwilling witness for a time. But when recalled to the stand indicated he was going to tell the whole story of what had happened. Dawson testified he had been at the still but fled into the woods just prior to the arrival of the officers. The reporter followed this with Williams gave Dawson a rifle and told him to keep it safe, that Dawson took it home. Dawson claimed Williams had come to his home the night after the shooting and discussed the raid saying he had done some shooting but didn't think he had hit anyone. The information on the rifle Dawson was given and the reporter stating three guns were identified as belonging to Williams, were not elaborated on by the reporter. This occurred on a number of occasions throughout the reporting of the various events and should not be construed as anything but the work of the reporter and his editor. At the end of the preliminary hearing the judge ruled Williams should be held for trial in superior court. Within the coverage of this hearing Fayetteville reporter stated "Deputy Sheriff C.H. Drivers testimony kills the effort of the defense to lay the actual shooting to Dawson". Deputy Pate was 62 years old at the time of his death and had been a Cumberland County Sheriff's deputy for 19 years. He was survived by two brothers, his wife Hattie, daughters Minnie, Margaret, and Cora (Ellen), son George (Roy), and grandson Edward Stewart Jr. His son Leon had died June 26, 1920 of cerebral apoplexy (stroke), four days after his 29th birthday [death certificate]. At the time of Deputy Pate's death, his daughter Ellen was away on a honeymoon after having been married two weeks prior. David Marshall Williams was indicted for the murder of Deputy Pate in Cumberland County Superior Court on August 30, 1921. He was arraigned the same day with his attorneys claiming he could not be tried for the charges against him due to insanity. The case was continued to the next court session for a jury to be impaneled to determine the issue of insanity. On the same day Williams and three of his workers were indicted for "Making Liquor". This case was held pending the outcome of the murder case. "Insanity" is a legal term, not a medical term. North Carolina courts, then as now, use the "M'Naghten Rule" to determine insanity. This rule is a presumption of sanity, unless the defense can prove "at the time of committing the act, the accused was laboring under such a defect of reason, from disease of the mind, as not to know the nature and quality of the act he was doing or, if he did know it, that he did not know what he was doing was wrong". Simply put, the defendant must have a mental illness to the degree they cannot tell the difference between right and wrong. 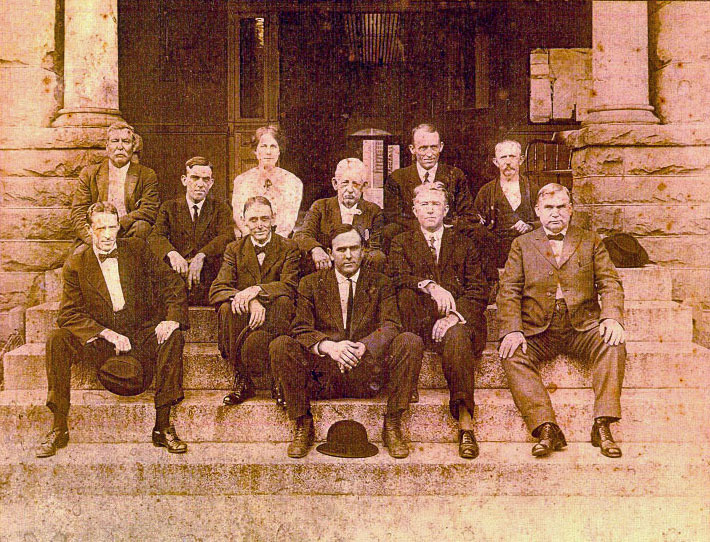 On October 11th, 1921 a 12 man jury was impaneled to hear the testimony and decide the issue of Williams' sanity. Testimony started on October 12th and continued for four days. The majority of articles and other sources that have been published to date have reported the testimony of this Insanity Hearing as a criminal trial, which wasn't the case. The issue of sanity had to be decided prior to the criminal trial. The sheriff and deputies again testified to the circumstances of the shooting with Deputy Driver identifying Williams as the shooter. Ham Dawson testified regarding his involvement with Williams and indicated when Williams met him the night after the shooting he accused Dawson of being the sheriff's informant and threatened him. The next morning when Williams brought the rifle to Dawson to hide, Williams threatened to shoot Dawson if he revealed anything Williams had told him about the shooting. The defense called to the stand several members of the Williams family (including his father), a number of his school teachers, the Colonel who owned Blackstone Academy, and a psychiatrist who interviewed the Williams family and teachers but not David Marshall Williams himself. The prosecution countered with cross examination of the defense witnesses then called to the stand several more teachers, neighbors of David Williams, the county coroner and three psychiatrists. One of psychiatrists was employed at the North Carolina Hospital for the Insane in Raleigh (Victor R. Small). The coroner and psychiatrists for the prosecution had personally examined Williams and all testified it was their opinion he was sane. The jury adjourned October 15th when the jury to decide the issue. On October 17, 1921 the jury announced to the court they were deadlocked with 11 voting for sanity and one voting for insanity. The judge declared a mistrial and ordered Williams held until the next court session in November. When a jury deadlocks with a verdict indicating a strong likelihood of sanity, or in the case of criminal trial a strong indication of guilt, the prosecution has the option of requesting the judge to empanel a second jury to decide the issue. Williams was held pending the next court session when another jury would be impaneled to decide the insanity issue. On November 22, 1921, the second day of the November session for Cumberland County Superior Court, the attorneys for Williams withdrew his insanity plea and Williams plead guilty to the murder of Deputy Pate in the 2nd Degree. This avoided a possible 1st degree conviction and death penalty. The same day Williams and all five workers, Dawson included, plead guilty to "Making Liquor". Those not indicted earlier for the still came into court and waived the indictment. Judgment for Williams was suspended. With the exception of Dawson, the other workers were sentenced to 90 days, during which they could be hired out for work by the Cumberland County Commissioners. Dawson was not sentenced this day, possibly due to his pending indictment. On November 25, 1921 Williams was sentenced to 30 years at hard labor and prison stripes for the murder of Deputy Pate. This was the maximum sentence allowed by law. Williams was 21 years of age at the time of his sentencing. The judge issued an order for the prison warden to constantly monitor the physical and mental well being of Williams, given the previous claim of insanity. The same day Dawson was indicted for "Secret Assault and Battery with Intent to Kill" was handed down by the Cumberland County Grand Jury. Dawson plead not guilty and a jury was impaneled forthwith. Williams testified against Dawson, admitting he had fired one shot but not with the intent to kill and that Dawson had fired the other four shots with intent to kill. Testimony and a verdict were completed the same day. The all white 12 man jury returned a verdict of not guilty for the charges against Dawson, who was black. On November 26, 1921 Williams was transported by Sheriff McGeachy to Caledonia State Prison. Enroute McGeachy stopped by the residence of the Williams family and allowed Williams to say goodbye. Claude Williams accompanied his son and Sheriff McGeachy to Caledonia. Dawson arraigned for Attempted Murder, jury impaneled, Williams testifies, jury finds Dawson "Not Guilty"
What Happened to the Rifle? Author Ross E. Beard Jr. interviewed Marshall's brothers Gordon, Shell, and Leon on April 10 & 11, 1976, after Williams had died. Leon revealed the night before the "trial" he and his mother buried the Krag rifle used by Marshall in the shooting at the still along with a number of cartridges. Leon is quoted by Beard in his book (page 80-81): "We were not hiding the rifle because we felt that Marsh had done the killing, but we would have done almost anything to save his life". While Marshall was imprisoned he and his mother had communicated via mail regarding the care and condition of his rifle on at least one occasion. Gordon added that someone in the family had dug up the Krag and his mother instructed Shell to clean it. Gordon witnessed Shell cleaning the rifle. Gordon continued: "Years later, Marsh cut the end of the barrel off because it was so badly rusted. This Krag is believed to be still in the area."